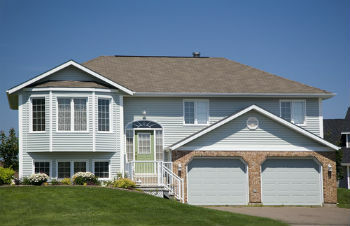 Duggan Edmonton homes are located in one of the city's best Southwest communities, close to Whitemud and Gateway Blvd. Duggan offers excellent value in today's Edmonton real estate market with well-priced and well-maintained single-family bungalows, split levels and a small number of townhouses. If you want to live in a quiet area that's close to schools and shopping, check out Duggan homes in Edmonton. Learn more about Duggan Edmonton homes below the listings! Suffice it so say Duggan real estate is highly desirable because it's located close to shopping, schools and professional services. A Walmart Supercentre and Canadian Tire are a couple of minutes away at South Park Centre, where you'll find a bunch of big-name retailers including Sport Chek. There are fitness centres in the area, along with many professional services, a public library, as well as several chain restaurants and other places to eat including the Century Bar & Grill. There are two schools in the community: St. Augustine, a Catholic school, and Duggan School Elementary. D.S. MacKenzie Junior High School is nearby in Rideau Park. High-school aged kids will go to Harry Ainley High School, which is considered one of Edmonton's best. Homes in Duggan offer some great recreational opportunities for residents. Duggan Park boasts an outdoor hockey rink, as well as a playground and ball diamonds. The rink is paved, so it's perfect for ball hockey in the summer. The Duggan Community League facilitates sports in the area and maintains the community centre, as well as running well-known Duggan Soccer Tournament, which is held annually on the Mother's Day weekend. If you wish to view any of the Duggan homes for sale in Edmonton, please contact MaxWell Challenge Realty. Call us at 780.990-7777 and we'll help you find the home you've been trying to find.